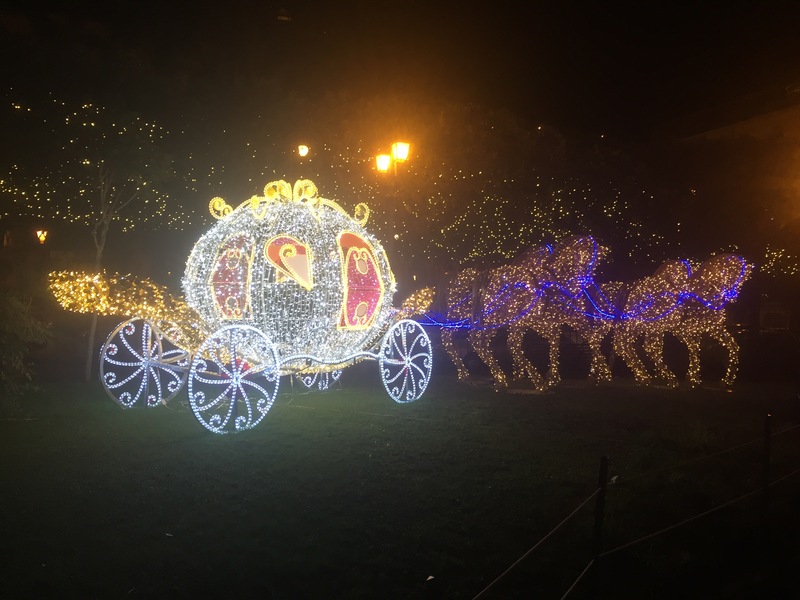 A lot of cities have light festivals during the darker months of November and December. 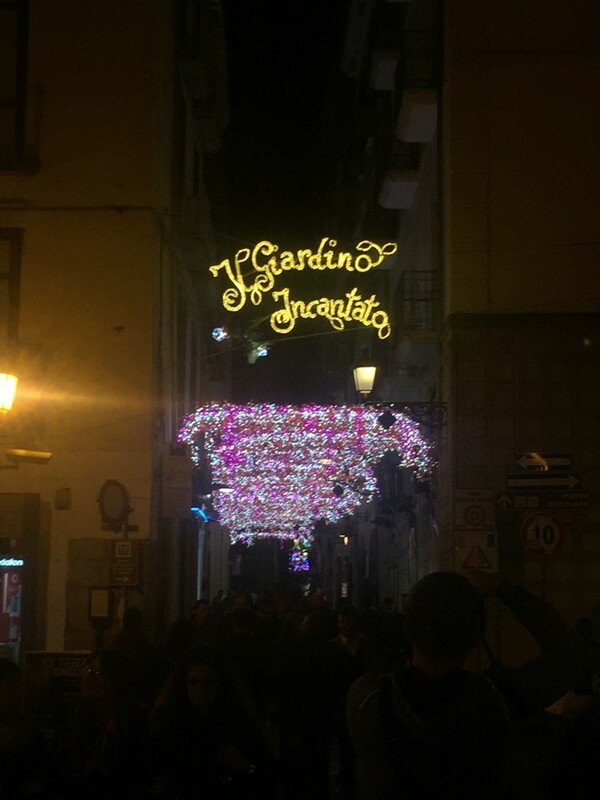 However I have never seen one as beautiful as the light festival in Salerno. 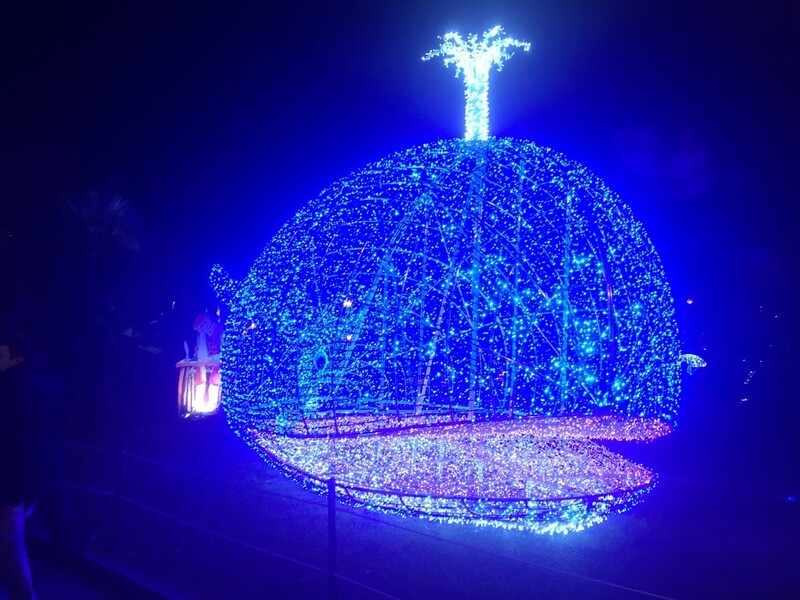 It is called ‘Luci d’Artista’ and it is displayed every year from November until January. 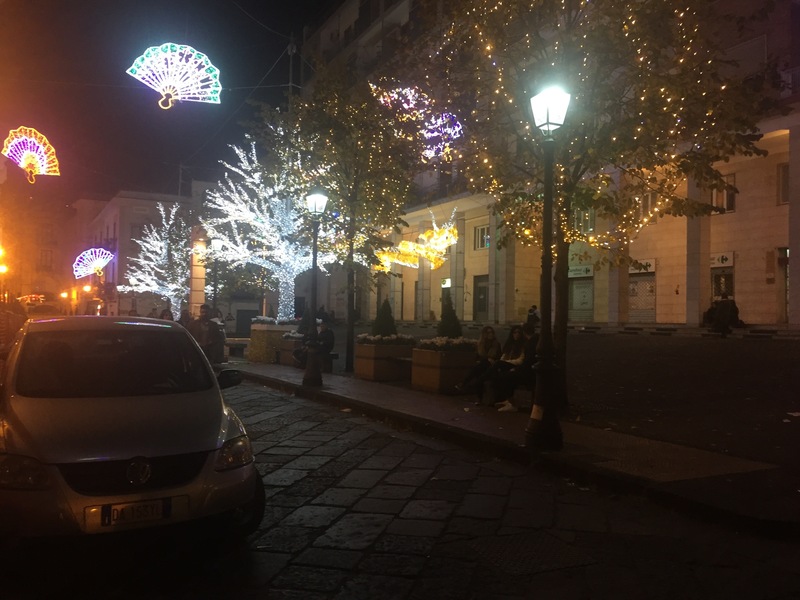 It attracts people from all over Italy every year, and I completely understand why. Most streets in the old city center are filled with different kinds of flowers or other light installations and every now and then you stumble upon a square filled with lights in a certain theme. 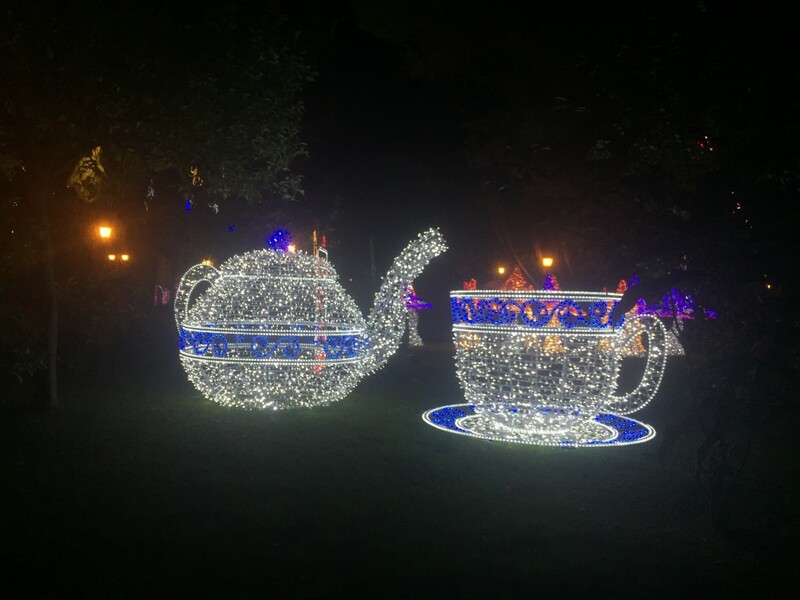 There is also a big park that is lit up with installations in a fairytale theme. 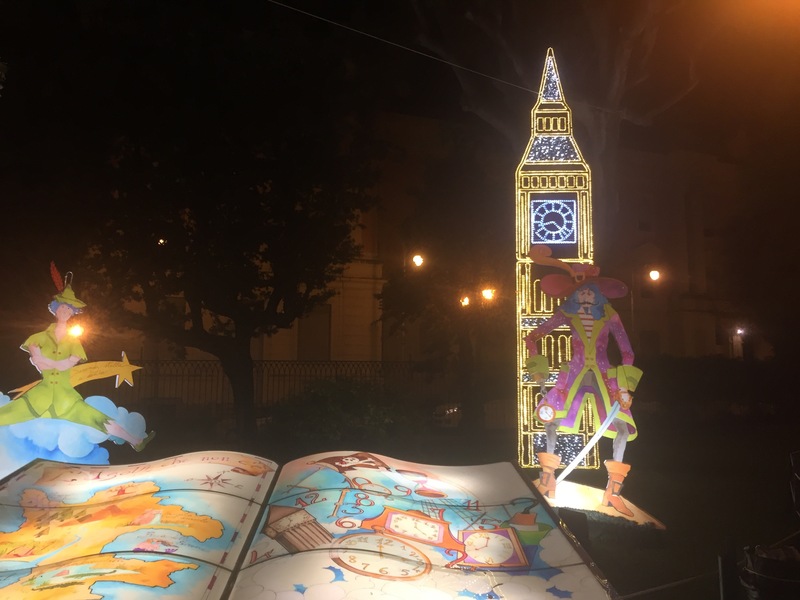 I don’t know if it is the same every year, but this year there was a giant whale from Pinocchio, the chariot from Cinderella, the pirate ship from Peter Pan and much more. What I was really impressed by was the way it looked in daylight. 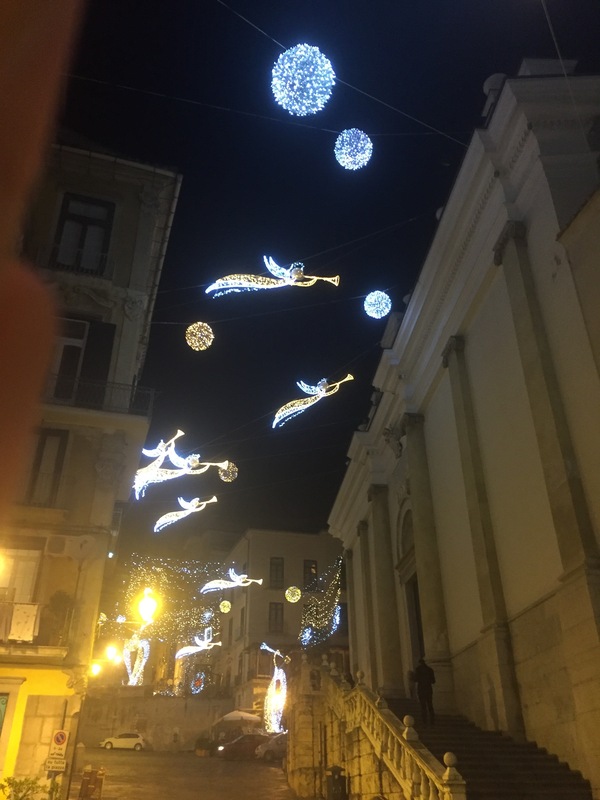 Most light installations only look good when they are lit up, but in Salerno everything looked magical during the day as well. 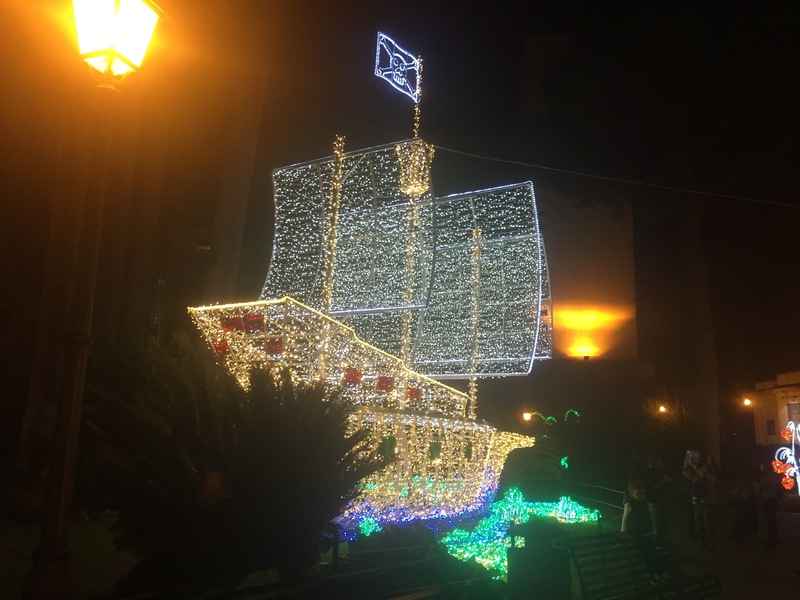 So if you are wondering what to do for a weekend and want to see a spectacular light display, that also looks great during the day, go to Salerno!